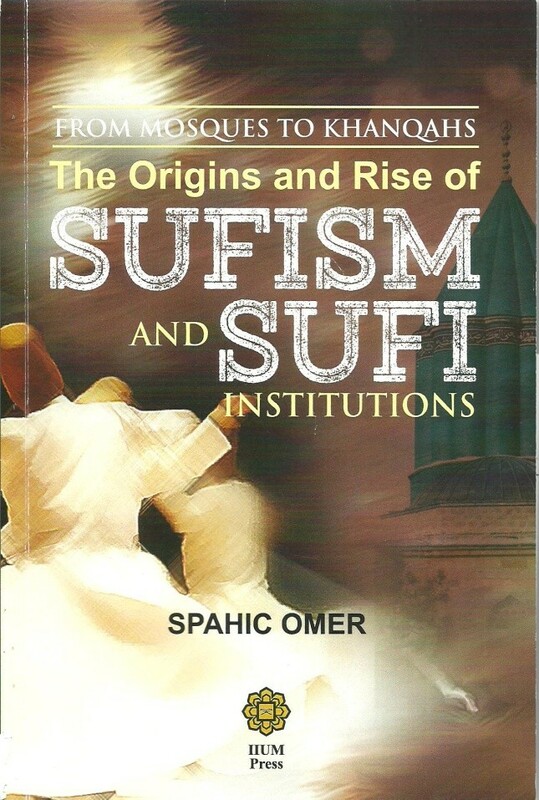 This book critically examines the theme of the evolution of Sufism and Sufi institutions from the realm of the mosque institution, which since its inception functioned as a community development center, to independent and self-governing bodies and establishments which catered to the needs of the ever-proliferating Sufi community. The religious, social and educational functions of such institutions are scrutinized; as is their impact on the overall development of Islamic society and culture. The relationships between Sufi institutions and other Islamic socio-political, educational and religious institutions, such as mosques and madrasahs (schools or colleges), are also explored. As they are essential for properly conceptualizing and contextualizing Sufi establishments and their societal and cultural significance, the meaning and birth of the Sufism phenomenon and its division into authentic and pseudo, or theosophical, Sufism, are scrutinized in the first segment of the book. The study of the origins and rise of Sufism and Sufi institutions is very important as it helps us understand more than a few aspects of the identity of Islamic urbanism, art and architecture as well; such is the significance and scope of the theme at hand. Just as the Sufi movement played a prominent role in shaping the identity of Islamic culture and civilization, it likewise played a role in shaping the identity of Islamic built environment, too, in that the latter signifies the physical locus of the former. The book is divided into four chapters. The first chapter discusses the substance of authentic Sufism and what sets it apart from both pseudo Sufism and mysticism. Several parallels between authentic Sufism and mainstream Islamic spirituality and scholarship are drawn. The second chapter deals with the genesis and meaning of pseudo, or theosophical, Sufism, and why as a repugnant innovation it is incompatible with the main body of Islamic teachings and values. Foremost manifestations of pseudo Sufism, such as excessive asceticism and monasticism, religious laxity, and an evolution from religious innovations to heretical beliefs, are presented and repudiated. The third chapter delves into the subject matter of the origins and rise of Sufi institutions. The discussion revolves around the impact of the mosque institution and the decentralization of its multifaceted roles and functions, which themselves evolved into independent bodies and establishments, on the emergence of first independent Sufi institutions, such as duwayrahs, ribats, khanqahs, zawiyahs and tekkes. Critical phases in the evolution of Sufi institutions and their most important features are looked at. The main aspects of the Sufi life and activities in early Sufi institutions are also examined. Finally, in the fourth chapter, the main reasons which caused and sustained the continuous existence of Sufism and Sufi institutions are explored. Four such factors are dwelled on, namely, the Turkish factor, the Persian factor, the Shi’ah factor, and the ahl al-sunnah wa al-jama’ah factor. There are many works on Sufism, by both Muslims and non-Muslims, which treat the subject from various cultural and religious perspectives, thus furnishing us with mixed results. Some works defend Sufism, while others condemn it. Some regard it as integral to Islam and the development of Islamic thought and society, while others deem it as alien to Islamic spirituality and scholarship and hence, as an abhorrent innovation which the Muslim mind and soul must get rid of. It is a fact that much of Islamic history, culture and civilization is misunderstood. Indeed, this signifies one of the main hindrances on a way forward for Muslims. It is thus incumbent that the account of Islamic history, culture and civilization be set right and then be promoted and taught as such. One of the aspects of Islamic culture and civilization that is gravely misunderstood is Sufism and the evolution of its fraternities and guilds, as well as the religious, social and educational roles that they played. The impact of such misunderstanding is felt virtually everywhere in the Muslim world and at virtually every tier of the Muslim presence. It stands to reason, therefore, that clarifying the subject of Sufism and its institutions and their historical roles in developing Islamic thought and society, must be prioritised. To clarify and remove some pervasive misconceptions and misunderstandings about Muslim society in general and the subject of Sufism and its institutions in particular.